Yeah, but: It's worth having. 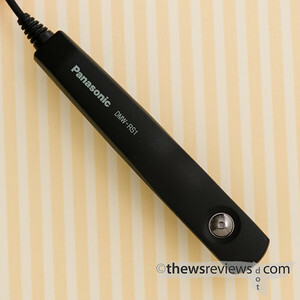 The Long Version: Panasonic makes two different wired remotes - the RS1, the subject of this review, and the more sophisticated RSL1. The "L" stands for 'locking', which allows bulb exposures; the simpler remote is just a push-button on a cable. The huge difference in features means a huge difference in the price, and they're both compatible with the Panasonic Micro Four Thirds bodies that use a 2.5mm jack. The RS1 is a lightweight remote, with a thin cable and simple connector. I never quite figured out why the Nikon MC-30 needs ten pins to do such a simple job. But the best part is that it costs about $30 at B&H, which is still a bit `spensive, but not nearly as bad as it could be. The back of the remote has a little clip on it. I use it to hold the cable, which is about all I ever use pocket clips for. Actually using it to clip to clothing is just inviting tragedy - or comedy, depending on whose camera it's plugged into. Attaching it to a camera strap, or using it to loop to itself around the tripod, is safer and still quite handy. For those who want to photograph star trails, this isn't the one to pick, but for me losing the ability to take 'Bulb' exposures is far less significant than losing the extra twenty bucks to buy the more expensive remote. All told it's quite a useful accessory, and makes the camera much easier to use on a tripod. Given how the live-view LCD makes it quite natural to use the m4/3 cameras from a distance, this just makes the whole thing better. Macros, portraits, home-made sound blimps - there's all kinds of reasons to get away from the camera so that we can actually see our subjects. Having a decent cable release makes it work. 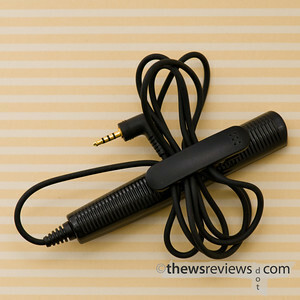 The Olympus RM-CB1 does it with three pins (on the body), is keyed, and costs $49 from B&H. The connector is a screw-on male connector, which I assume is to help with the weather-proofing. Oh. And it has a lockdown, but no handy clip on the back. Wired remote pricing is clearly based on the same forces that drive cable prices in the high-end audio world. I don't know what those are, but I doubt that anyone does. It's odd that wireless remote pricing is so consistent, though. I've used the bulb mode on my MC-30 (currently $59.95 at B&H) on two different occasions, for maybe a dozen photos. It's hard to say no to a potentially 'useful feature', but with the escalating noise of long exposures with digital capture, I do wonder if the bulb mode is something best left for film cameras.